The 2017 Porsche Panamera and the 2017 Mercedes-Benz S-Class are both super luxury cars. As top-of-the-line models, super luxury cars provide exceptional interior and exterior comfort and styling, lots of standard features, and great driving performance and handling. The Porsche Panamera and the Mercedes-Benz S-Class well represent their brand in this class. However, the Porsche Panamera has better performance and handling in this class. Read on for more comparisons between the Porsche Panamera and the Mercedes-Benz S-Class. A comparison of the basic specs between the 2017 Porsche Panamera and the Mercedes-Benz S-Class does show a lot of similarities: the 2017 Porsche Panamera has a 3.0-liter, V6 engine with eight-speed automanual transmission. It comes with AWD, a 23.7 gallon fuel capacity, equating to 21 city/28 hwy mpg. The Mercedes-Benz S-Class Hybrid has a 3.0-liter, V6 engine with seven-speed automatic transmission. It comes with RWD, 16.6 gallon fuel capacity, equating to 17 city/25 hwy mpg. The 2017 Porsche Panamera Hybrid has a twin-turbocharged, V-6 engine; an eight-speed automatic transmission; a 136-horsepower electric motor; and an 14.1-kWh lithium-ion battery pack all of which produce 462 horsepower, 516 lb-ft of torque, and an estimated all-electric range of 31 miles. The Mercedes-Benz S550e plug-in hybrid has a twin-turbocharged, 3.0-liter, V6 engine; a seven-speed automatic transmission; an electric motor; and an 8.7-kWh lithium-ion battery pack all of which produce 449 horsepower, 516 lb-ft of torque, and an estimated all-electric range of 12 miles. Close comparison shows that the Porsche Panamera Hybrid has more power and a greater electric range than the Mercedes-Benz S550e hybrid. While you do not buy a super luxury car to haul camping gear or other heavy bulky items, cargo capacity can be an issue when you want to take a trip and have luggage. The 2017 Porsche Panamera sedan has 17.4 cubic feet of cargo space that can be expanded to 46.0 cubic feet. The Mercedes-Benz S-Class sedan only has 16.3 cubic feet of cargo space that can not be expanded. So even though neither car is meant to be a cargo hauler, the Porsche Panamera gives you more room when you need it. 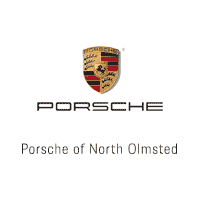 To decide for yourself how the 2017 Porsche Panamera compares with the 2017 Mercedes-Benz S-Class, especially in the area of performance and handling, visit our Porsche dealership in North Olmsted and take a test drive. Whether you are considering the sedan, the hybrid, or one of the other trims, the Porsche Panamera is sure to impress you.